Take a break from pushing through crowds on the San Diego footpath and see the city from the sea in a kayak. 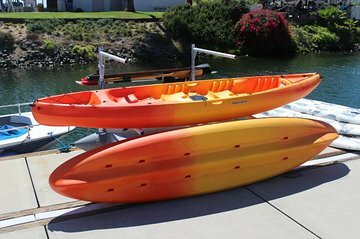 Kayak in the calm waters of North San Diego Bay and paddle past San Diego’s coastal highlights, including the Coronado Bridge, the National Marine Mammal Foundation (frequented by seals or dolphins) and Spanish Landing Park. With staff to help you while you’re starting out and all safety equipment provided, this kayaking experience is great for beginners.